The big question these days while traveling is, “Why is it that in 2016 we still have to pay for hotel Wi-Fi?” Many of us pay a lot to stay at luxury hotels for vacations and it can baffles us when Wi-Fi can cost up to $20 a day. Fortunately, many hotel chains have made basic Wi-Fi free for all of their guests. But many hotels still require guests to be members of their loyalty program or to book directly from their site to receive free Wi-Fi. 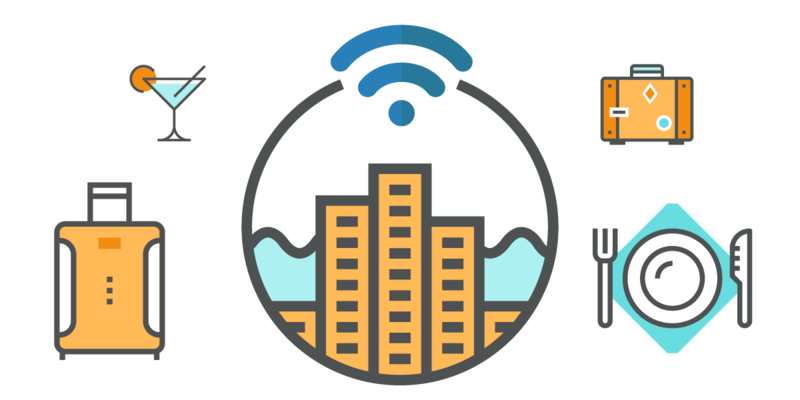 Hotel Wi-Fi is a hot topic for summer travel since having Internet connection in important for business travelers as well as families. Sometimes it’s a make or break for someone deciding on a hotel. Is there free Wi-Fi? If not, how much does it cost to get all of my devices connected? Fairmont: free access to only to loyalty club members. Non-members pay between $10 and $15 a day, although some of its hotels offer free access to all guests. Four Seasons: free basic Internet service — for four devices to check email or basic surfing, although the speed could probably support streaming video — at 90% of its hotels and resorts. If you want six times the bandwidth for six devices, a typical charge would be $20 a day. Hilton: some of the more economical, hotel brands offer free Wi-Fi. Guests at pricier brands must be third or fourth tier loyalty program members for free Internet or pay a fee “competitive within the market” that depends on the specific hotel. For example, the Hilton Boston Downtown/Faneuil Hall charges $14.99 a day. By summer, all loyalty program members who book directly or through one of the company’s corporate travel partners will receive free connectivity, according to what the company told Fortune. Hyatt: as of February this year, free standard Internet to all customers across all its brands. Mandarin Oriental hotels offer free premium Internet connections to guests who create an online personal profile and book directly. Otherwise, daily rates are $15 in the U.S. and $12 to $20 in other parts of the world. Marriott began in January this year to offer free access at participating properties for loyalty card members who book directly. Otherwise, prices can run from $12.95 to $16.95 a day. Peninsula offers free Wi-Fi not only in guest rooms and public spaces, but in its own car service fleet. Ritz-Carlton (owned by Marriott) offers free access at participating properties for loyalty card members who book directly. Otherwise, prices can run from $12.95 to $16.95 a day. Shangri-La offers free Internet access to all guests and also provides service in its fleet of hotel cars. Starwood Hotels’ upscale brands began in February 2015 offering free Wi-Fi for loyalty club members booking directly. The company didn’t respond to Fortune’s question about prices for non-members. A check of the Westin Copley Place in Boston found that basic Internet was $14.95 a day and premium, $19.95. Some of its more moderate brands offer all guests free Wi-Fi. Although the article was written over a year ago, many of the same rules still apply. But the terms “basic Wi-Fi” and “standard Wi-Fi” seems to be quite popular in hotel lingo. Although many hotels offer free Wi-Fi now, it’s safe to say that it’s either slow or only works half the time. Many times, only premium members get the best free Wi-Fi. But typically none of this applies to guests who book through travel agencies such as Expedia or Kayak, they don’t get free Internet at all – they have to pay a daily fee for a limited number of devices (typically 1-3 devices). Marriot hotels typically can be the most expensive hotels to stay at, they also charge a daily fee for Wi-Fi. Premium Wi-Fi is only offered to members in their loyalty program, while standard Wi-Fi goes for almost $13 for other guests. Being Wi-Fi lovers, it makes us think about how much we appreciate free Internet access. It’s great being able to pop into a Starbucks or Barnes&Nobles and having access to free Wi-Fi for an unlimited time. Starbucks decided to stop charging for their Wi-Fi back in 2008. Look at them now! They have an abundance of customers who go in and get a drink just because they want a few minutes of free Wi-Fi. It’s a smart idea, so why haven’t hotels jumped on this bandwagon? In short, Wi-Fi is something they can make money off of because it’s what people want. Last month we talked about why Connectify Hotspot should be your summer travel buddy. One of the reasons was to minimize hotel guests Wi-Fi expenses. We make it so you only have to pay one fee to get all of your wireless devices connected. Most recently, USA Today wrote about using our Hotspot on planes. Comedian Dan Nainan mentions that Connectify Hotspot helps him to make new friends on airplanes, where you can only connect one device at a time, by sharing his password with other passengers and flight attendants to get all of their devices connected. So save yourself some money using Connectify Hotspot, whether you’re traveling for business or on a family vacation. USA Today agrees with us and so does Dan Nainan! It’s easy, efficient, and cost effective.